Running a company is one of the complex jobs in the world and the captain of the ship is the one who bears the responsibilities of taking the organization to new heights. Similarly, the helm of Karsun India’s endeavor rests in the hands of Anand Mecheri, a hands-on business leader armed with the standards of excellence. 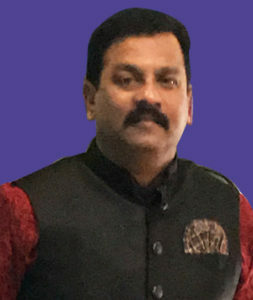 Known among his clients for solving “Wicked Problems” using innovation and a home to result-oriented, enthusiastic and decisive management persona, Anand is accountable for the profitability of the firm’s Indian operations as well as the enrichment of the Human Assets of the company in India. In his professional stint of over 25 years, Anand has employed his expertise to large, Multi-Billion Dollar Engagements with corporations like the Tata Group, American Express, Hewlett Packard, etc. Anand has also contributed to several inventions in the area of IT Services and has earned several IPs too. He is known among his clients for solving “Wicked Problems” using innovation. 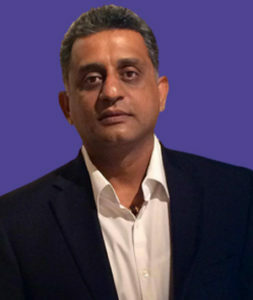 Anand has been widely acclaimed for his Executive Management Abilities. He has attended numerous forums like CII Events, IWIN Events, High Schools, etc. as a motivational speaker. Driven by a strong philosophy of giving back to the society in every way possible and participates in many philanthropic initiatives. Atmaram brings with him about 25 years of experience in various industries including Manufacturing & Institutional Selling, IT Consultant for Structured Cabling, having vast experience in areas including Customer Relations, Project Management. Prior to joining KarsunIndia operations, Atmaram has been has been a part of various startups and was responsible to make it a profitable business. He is widely acclaimed for his work ethics and integrity and team man motivating each and every person of the organization, a person to go to for all problems. Atmaram spends most of his personal time with his family and does a lots of charity and vivid sports enthusiast.